We will be offering 3 Types of Bamboo Terry in our Hooded Baby Towel Range. These are our Cheapest Range Towels (by price only, they are just as soft and absorbent as our other 2 ranges). The thread used for the embroidery and construction of the towels are both Polyester. We have a small selection of Hood Designs in this particular Terry Cloth Range. 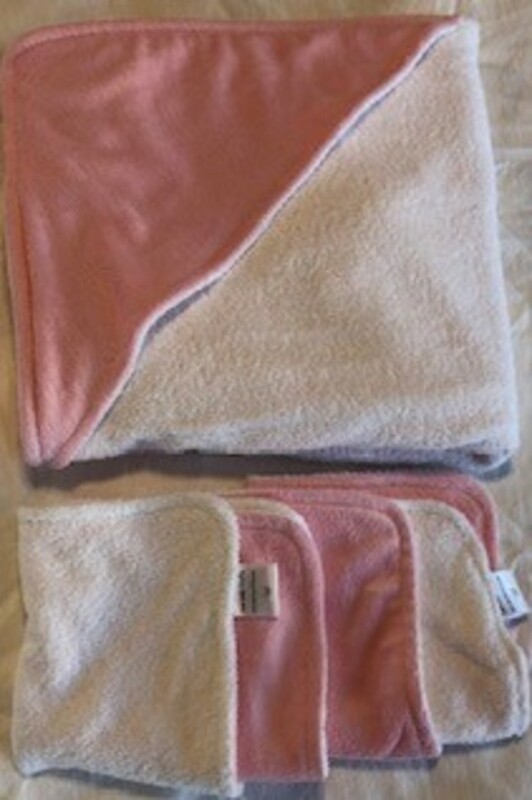 The Minky in this towel is so soft to touch, in the most gorgeous Baby Pink colour, and can be seen on the hood and back of the towel, as well as on both Face Washers.